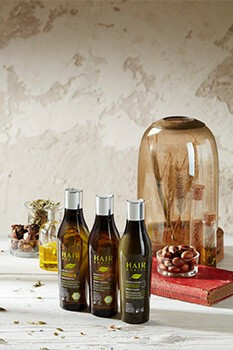 Hairborist has chosen to work with EcoGarantie, the most recognised and respected organic label in Belgium. The requirements under the EcoGarantie label are unique and reviewed every year to adapt to current policy changes. Hairborist outlines its commitment below to ensure respectable standards and works alongside EcoGarantie to fulfil its obligations under this label. The expectations from consumers for environmentally friendly products. As a result, the environmentally friendly ingredients and processing methods under the Ecogarantie® label must be adhered to under a specified criteria. Must be vigilant of the origin of sourced ingredients used to produce these natural eco products and the renewable nature of raw materials. Corporate responsibility to respect basic human working rights linked to the social justice system. Any company that employs more than 10 people must have a social justice policy in place. Ensuring equal rights and fair treatment for all employees, without discrimination based on age, gender, origin, religious beliefs or sexual orientation. Every party involved must be profitable. Use a fair pricing policy to ensure suppliers and consumers benefit equally. Opt for efficient forms of transportation. The EcoGarantie® products must comply with the Belgian and European legislation on product safety. Subsequently, as a rule of thumb every company needs to take satisfactory measures regarding traceability. Ecogarantie® states that all natural eco labelled products are environmentally friendly. Therefore under the label we must minimise any adverse effects on nature. This is reflected by reducing toxic sea life waste, having good biodegradability techniques in both anaerobic and aerobic conditions and limiting the amount of harmful minerals.